Since our family made the transition from processed food to real food, I’ve had to learn my way around a formerly abandoned area of our home: the kitchen. Over the past few years, I’ve learned how to pick up, wash, roast, and even de-bone a whole chicken without even wincing. (Just for background, I ate a vegan diet for a couple of years, and before that our life consisted of frozen “food” and drive-thru windows.) I’ve also discovered how to combine a few simple ingredients to create homemade salad dressings. And I’ve even embraced quinoa and kale. Big changes have happened in this tiny kitchen of mine, and all for the better. Our family is healthier, happier, and our life is simpler. All thanks to one decision to change our eating habits. With all of these amazing food changes, I’ve discovered one big downfall to home-cooking: grease stains! Can you just hear my moaning and groaning as I utter those words: grease stains! The horror! 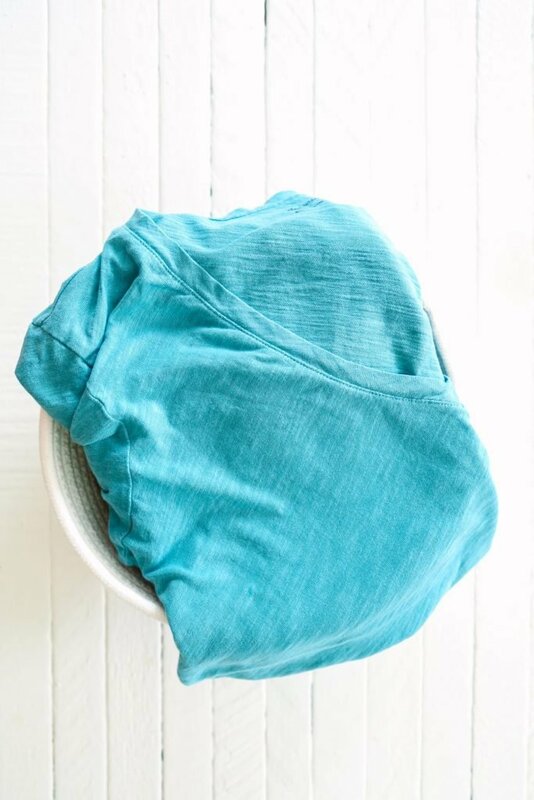 I can’t think of anything more frustrating when it comes to working in the kitchen than joyfully making a homemade dressing, or breathing in the amazing aroma of bacon cooking, only to find a giant grease stain from the oil or fat splattered all over my favorite capsule wardrobe shirt. Where did THIS come from? In my defense, I wouldn’t necessarily call myself clumsy, but somehow grease stains always, always find their way onto my favorite shirts. Just like homemade spaghetti sauce always finds its way onto my favorite white shirt. I should probably just stop wearing white in the kitchen, especially on spaghetti night. Anyway, back to grease stains. 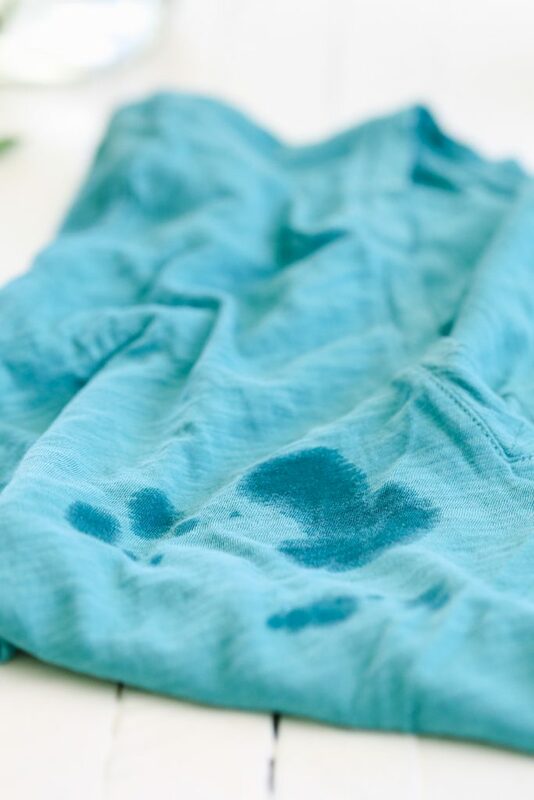 We already conquered spaghetti stains a few months ago when I shared my homemade stain remover spray. It’s a mom’s best friend! So, what’s a real food gal to do? The answer: Test every “more natural” grease-fighting solution ever recommended on the internet and in homemaking books. And invest in a good apron ;). Over the last couple of years, I’ve tested many different grease-fighting solutions, from vinegar to baking soda (of course, not combined), to homemade pastes and fancy spray cleaners. Nothing has been able to completely remove grease stains. As it turns out, the answer was far simpler, and could be found in my natural cleaning toolkit. Sal Suds has been the best “more natural” solution I’ve used to remove grease stains, and the process of using Sal Suds to remove grease stains on my shirts and shorts couldn’t be any easier. 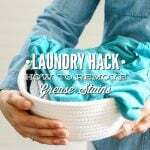 First, let’s take a look at Sal Suds before I share how to remove grease stains and save your favorite shirt! 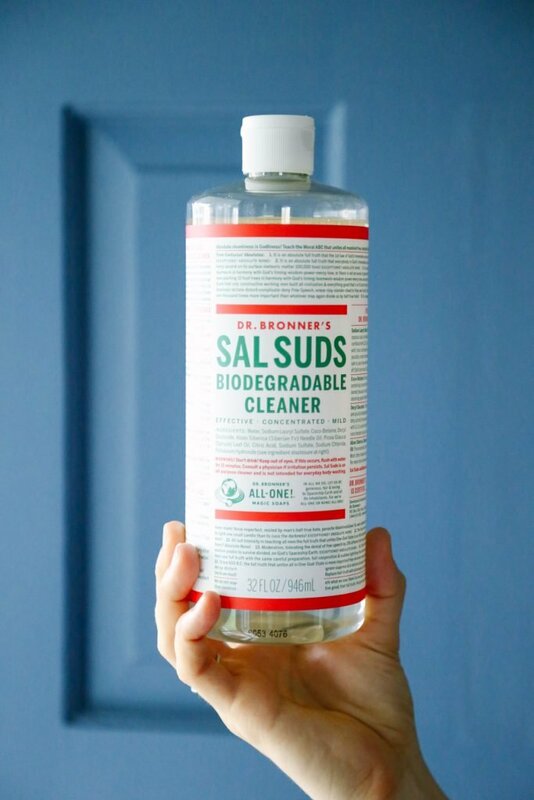 Sal Suds is Dr. Bronner’s tougher version of soap, although its chemical makeup makes it a detergent, not a soap, which is why I believe it works so well to remove tough grease stains. Sal Suds is formulated to conquer tough cleaning projects: unforgiving grease and stubborn dirt. Sal Suds is a hot topic in the natural community, so it remains a product that some use and others stay away from. What’s all the fuss about? Sal Suds receives an A on the Environmental Working Group’s website. You can read more about the big SLS debate and Sal Suds on Lisa Bronner’s blog. While I love castile soap, there are times when I need a “more natural” option that packs extra oomph, and that’s when I turn to Sal Suds. I use Sal Suds to make dish soap, clean a dirty tub, and remove grease stains from my clothes. If you don’t have any Sal Suds on hand, and you need to remove a grease stain right now, I recommend trying liquid castile soap. While I haven’t had as much success with castile soap, it’s better than feeling hopeless about that grease stain on your blouse. Sal Suds has been the best “more natural” solution I’ve used to remove grease stains, and the process of using Sal Suds to remove grease stains on my shirts and shorts couldn’t be any easier. Rub a small amount of Sal Suds on a fresh grease stain, using a towel or your hand to thoroughly rub the grease area with the soap. It's important that the soap saturates and completely covers the grease stain. Let the Sal Suds rest for at least 30 minutes-12 hours (I usually let the soap sit on the grease stain for the full 12 hours, which causes the soap to fully dry. ), then wash the garment in hot water in the washing machine with laundry soap. Before drying your garment, check the grease stain to make sure it’s completely gone. If not, apply the Sal Suds again and allow for more resting time. 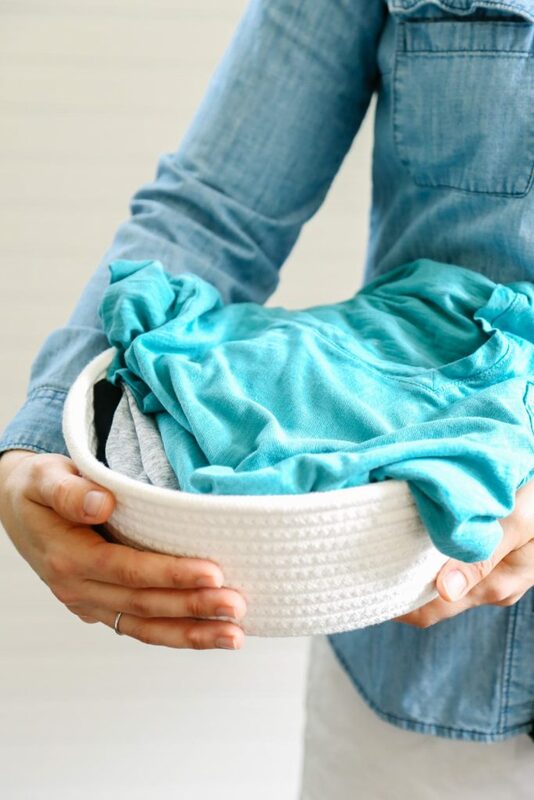 Repeat the washing cycle again until the grease stain is completely gone. The key to fighting a grease stain is to never dry a garment in the dryer until the grease stain has been removed. Drying a garment sets the grease stain, which is trickier to fully remove. That said, I've successfully removed grease stains using Sal Suds and a 12 hour rest time even after drying a garment. You can find Sal Suds (or castile soap) at most health food stores, online, and some conventional stores. While I love castile soap, there are times when I need a “more natural” option that packs extra oomph, and that’s when I turn to Sal Suds. I use Sal Suds to make dish soap, clean a dirty tub, and remove grease stains from my clothes. If you don’t have any Sal Suds on hand, and you need to remove a grease stain right now, I recommend trying castile soap. While I haven’t had as much success with castile soap, it’s better than feeling hopeless about that grease stain on your blouse. This post isn’t sponsored by Dr. Bronner’s, the maker of Sal Suds. It’s truly the only “more natural” option I’ve found to work when I need to remove grease stains from garments. Thank you, Chrissy! I’m glad the tip was helpful! Sal Suds is definitely the way to go–enjoy fighting and conquering those grease stains ;). Thanks for the tip! Yes, since switching over to a more real food based diet, we do have more grease stains… mostly from me. I am a little of a messy cook, too! 🙂 I didn’t realize that Sal’s Suds was a Dr Bronners product. That makes me much more likely to try it. I love melting down a grated Dr Bronners soap bar in a gallon of water to make nautral liquid hand soap for less than I paid for the cheap, unscented refill hand soap that I used to buy at Walmart. Now that I have switched over to natural handsoap, the skin on my hands no longer cracks in the winter! Hey Rachel, I’m quite a messy cook, too ;). I love that you make your own hand soap by melting the castile soap bars. Great idea! Something that I have found that works surprisingly well, is baby powder. I hope this is considered “natural”. Anyway, just sprinkle baby powder over grease stain until it is fully covered and leave it for 12 hours. The powder soaks up the grease. Wash as usual and also check to see that the stain is removed before putting in dryer. If not, repeat the baby powder step. I do love all your natural cleaning recipes as they are easy, few ingredients and work! Thank you for sharing, Valerie! That’s awesome! Chalk also works the same way! Awesome, Heather, I’ll have to try that! If efforts to remove a stain are not successful, I have “oiled” my cotton knit shirts with baby oil. I do several shirts at one time. Let them sit folded and stacked in a large plastic bowl for a day or two until the oil seeps into every bit of all the garments. It refreshes the fabric and the stain is undetectable. I am careful to do a load of towels after washing for the first time in case any oil is left in the washer or dryer. So interesting, Mary! I’ve never heard of oiling a grease stain. Thank you for sharing! Oh my goodness! I LOVE your blog! I’ve been working on creating my own “crunchy” blog and came across yours in my search for other crunchy bloggers and yours is probably my favorite. 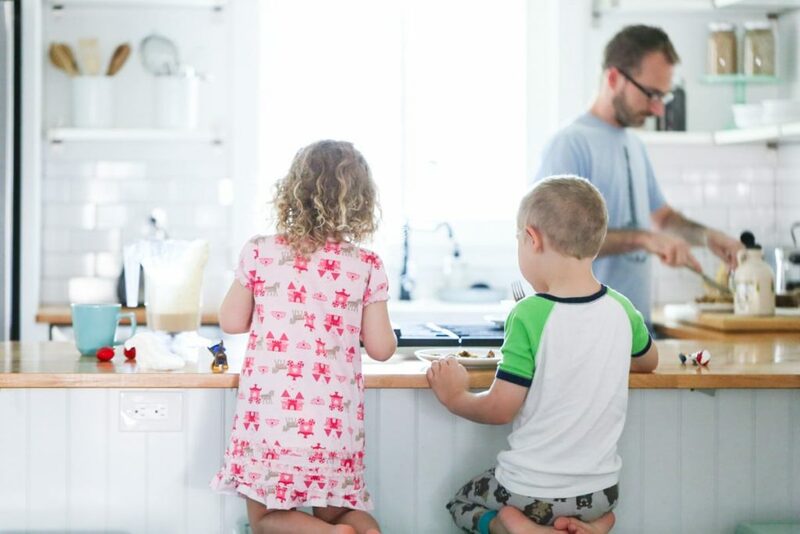 You had me at “vinegar to baking soda (of course, not combined).” It is so refreshing to see an honest, truly eco-friendly and scientifically accurate blog. I love that you share the discussions on certain products like the SLS and on Borax. You empower your readers to learn more for themselves about these “controversial” ingredients. Everything about this site is amazing and I’m looking forward to following along with your posts and get inspired to be more eco-friendly in my home! Hey Britty, Thank you so much for your sweet comment and the compliment! Your comment put a big smile on my face this morning, because that’s exactly how I want people to feel when they come to this blog! Let me know when you get your blog up and running–I’d love to check it out. This is brilliant, I am going to try this on the weekend. Thanks for sharing these great recipes. l love your blog. Love this idea! Does this work with clothes that need to be washed in cold water too? Most of mine can’t be washed in hot water. Thanks! Hey Kristin, Yes, I believe so!